While we stereotypically think of China as a huge consumer of energy and commodities, it is in fact also a big producer of same (one way in which China resembles the US). 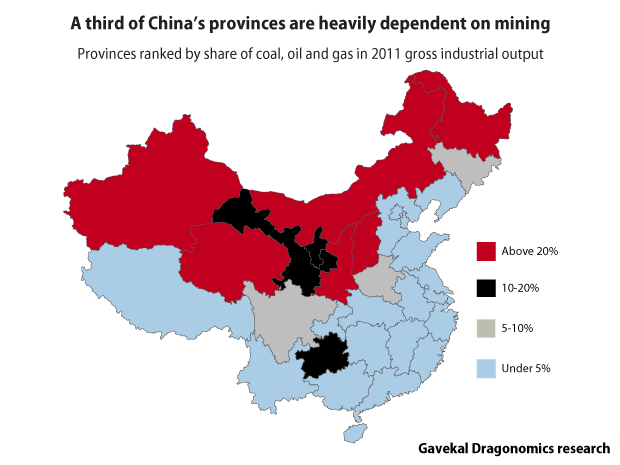 Within China, this is essentially a regional phenomenon: the center, south and east are mainly resource consumers (and are inhabited mainly by ethnic Han Chinese). The northern and western provinces are where all the resources are produced (and where ethnic minority populations are larger).